Just because we’re short on time, does not mean we need to sacrifice flavor or heartiness– which is exactly where 6 Ingredient Tuscan Chicken enters the picture! A quick and easy, saucy Italian-style chicken dish, this one pan meal is perfect when served over a bed of your favorite pasta. Have you guys tried this new shopping trend where you simply hop on line, click on all the items on your grocery list, hit send, and then later you park at the store in the designated spot and pay? I won’t lie– even I was initially intrigued. Still, I just can’t. I need to handle my food. I need to feel my produce. Yes, that includes squeezing my melons, knowing my avocados are ripe by plucking the stem off, and choosing the greenest bunch of lettuce from the available crop. Call me old school. This is also why I choose to shop at Walmart where there produce is picked in it’s prime, at it’s peak.Seriously, I’d be crazy not to shop for the cream of the crop. Its looks great, and that means making a plate that begs my family to eat it. They can’t say no when a dish is as beautiful to look at as is sounds when I tell them what’s for supper. Luckily on my recent trip I found this new Prego Farmers’ Market® tomato sauce on my last shopping trip. After reading the label once I was hooked. It’s made with produce I’d find at my local farmers’ market in the Spring and Summer, like vine-ripened tomatoes, actual garlic (you can see the yummy roasted bits IN the sauce), and tangy basil. Except it’s not Spring or Summer. Winter’s setting in, and while normally that would mean waving ‘bye-bye’ to vine-ripened ingredients– this sauce has it all for me, all through the colder months. It’s warm, it’s cozy, it’s budget-friendly (which warms my frugal heart right on up) while still filling us up with FLAVOR. I’ll calm down now– I just had to get it all out y’all. You know how it is when you discover something new that you have just got to share. Especially when as a busy wife and Mom, I know that fresh ingredients don’t always seem feasible at dinner time. I need something quick and easy that my whole family will *love*. 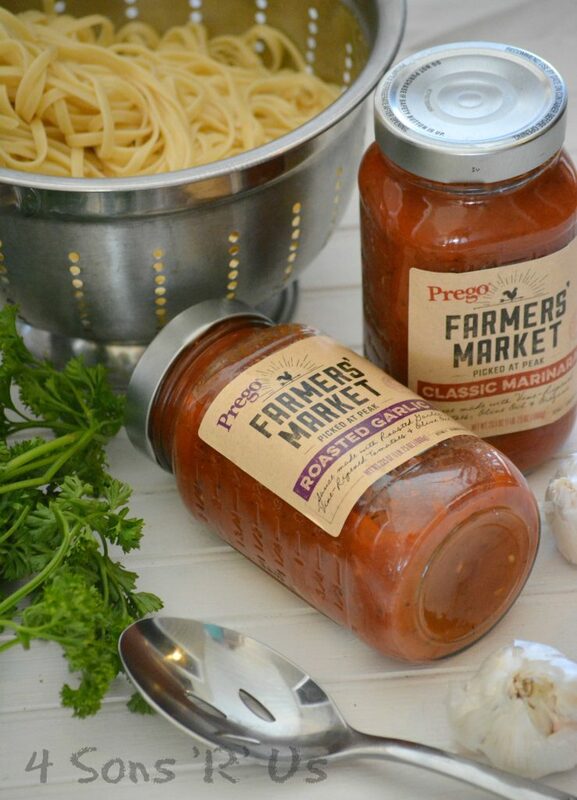 Using a great product like Prego’s yummy sauces makes putting healthy food on the table possible— and in record time. It also means that I can serve a feast-like dish on a busy weeknight that fills my family up with bold flavor and fresh ingredients. 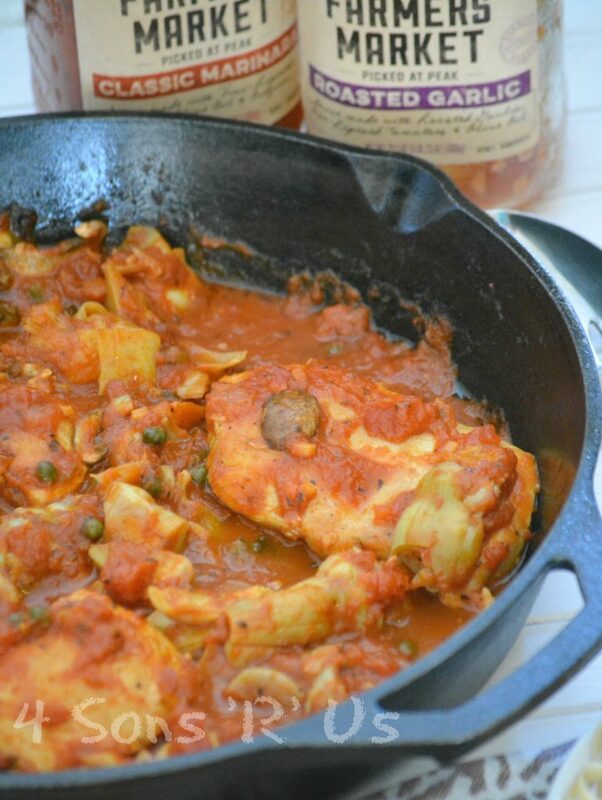 I betcha didn’t know you could throw together a hearty one pan Tuscan Chicken dish that’s bursting with fresh veggies like white onion, mushrooms, artichoke, and even capers. Using this amazing sauce, and some premium produce– it’s not only possible, it’s a must-have meal! Served over pasta with a sliced, crusty baguette on the side, it’s a gourmet dish that’s made on a weeknight time table. 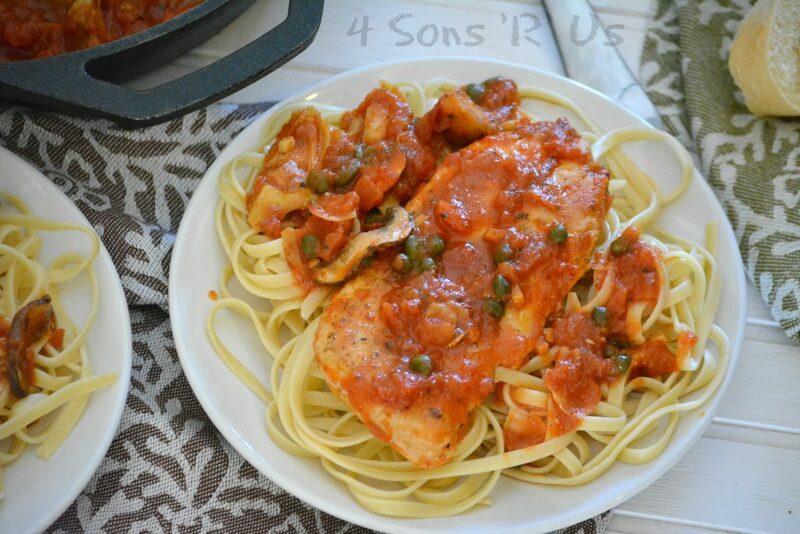 A quick and easy, saucy Italian-style chicken dish that's a perfect meal when served over a bed of your favorite pasta. In a large skillet, heat about two tablespoons of extra virgin olive oil over medium-high heat. Salt & pepper the chicken, both sides. Flip the chicken, then add the mushrooms and onion to the skillet. While the chicken continues to brown on the other side, occasionally stir the mushrooms and onion. 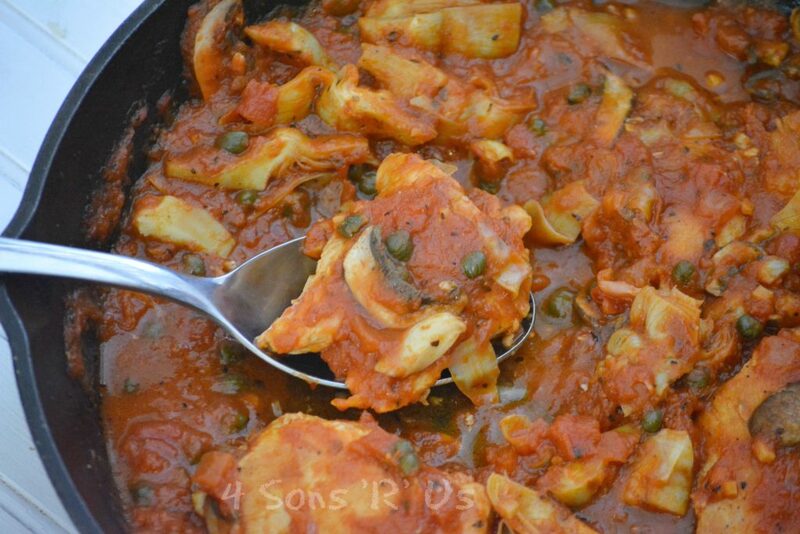 Add the artichokes, capers, and tomato sauce to the skillet. Stir until everything's incorporated in the sauce and the chicken is coated. Turn the heat down to low and let the chicken simmer in the sauce for 10 minutes. 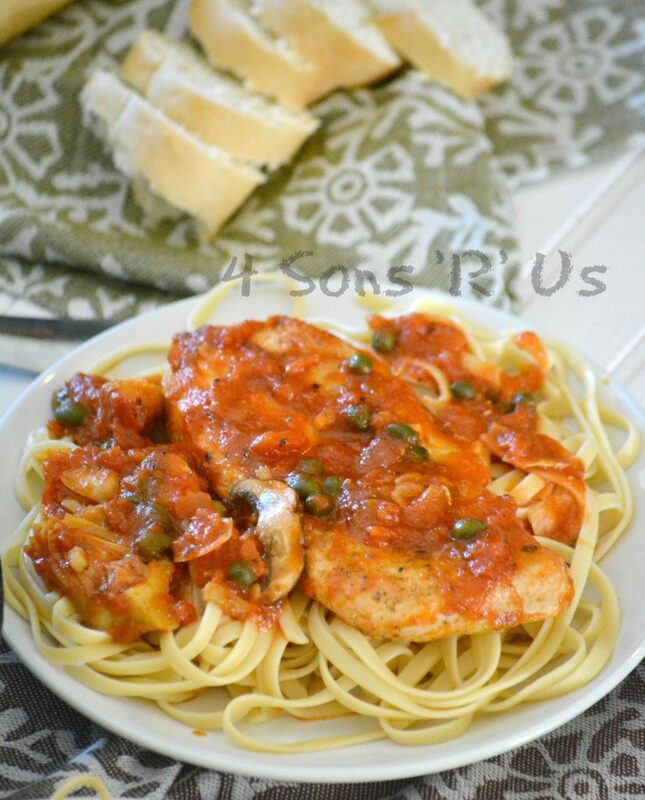 Serve this Tuscan Chicken over your favorite pasta. Stop by your local Walmart and stock up on this sauce– just make sure you grab this great deal before you go! A pot of this 6 Ingredient Tuscan Chicken is just what the Doctor ordered after a busy day. 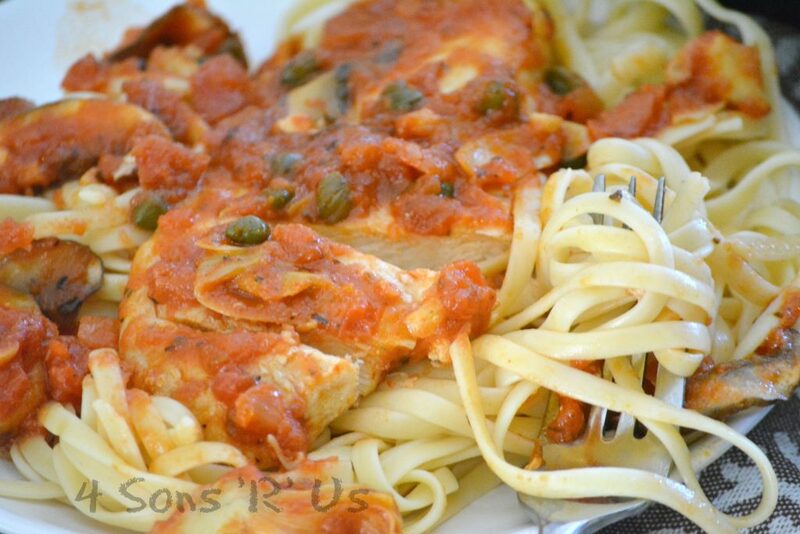 Chicken and pasta are probably my two favorite foods so I know I’d love this recipe! I have been using that sauce for a few weeks now and love it! Ive not tried the farmers market sauces yet but I NEED to!! This recipe sounds so so good! That looks fantastic! 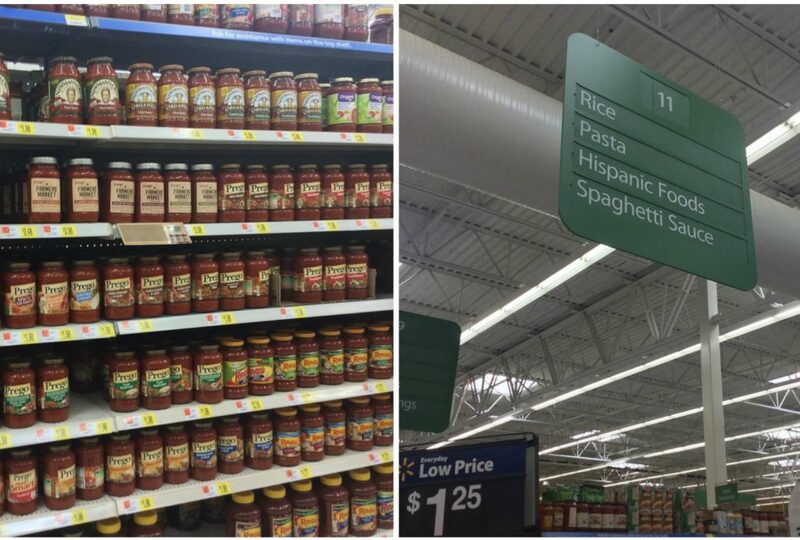 I can’t wait to try the sauce. I love their jar in the middle of the street. Pasta night is always a hit in my house! This sauce looks delicious!! 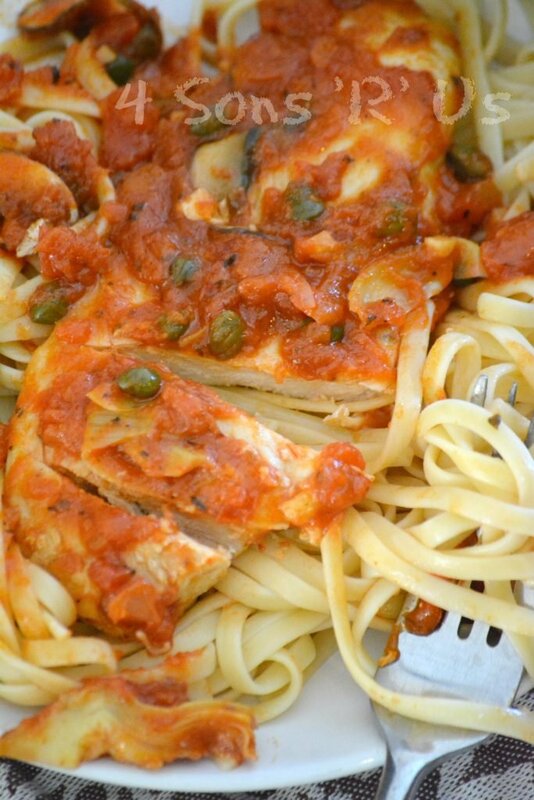 I am always looking for a new pasta recipe – this chicken looks delicious!